AMERICA/COLOMBIA - Mgr. Castro: "We need a clear sign that the signature of the agreement is concrete"
Bogota (Agenzia Fides) - "We need a clear sign that the signature of the agreement is not just a symbolic act", said His Exc. Mgr. Luis Augusto Castro Quiroga, Archbishop of Tunja and President of the Episcopal Conference of Colombia after the announcement of the signature regarding the last points of "Dialogues of Peace" to take place in Cuba by the Colombian government and the guerrilla group of FARC (Revolutionary Armed Forces of Colombia). 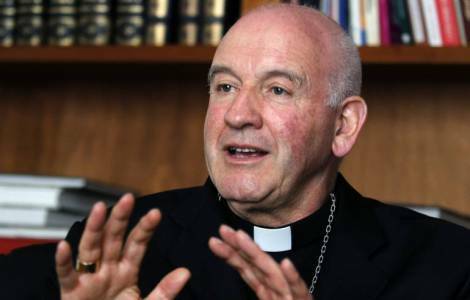 "The guerrillas must deliver and destroy the weapons publicly", added the Archbishop. Mgr. Castro Quiroga also recalled some unverified information that has spread in the Country on the possibility that the guerrillas can recapture the cities. The Archbishop spoke on behalf of the Colombian people who need assurance. "The people want to immediately see the effects of the agreement", said Mgr. Castro Quiroga. "The delegations of the National Government and FARC inform public opinion that they have reached an agreement on a ceasefire and the definitive end of hostilities", said the joint statement of the Colombian negotiators released yesterday evening in Havana.